The LCD-displays can be used for numerical, alphanumerical or static graphics indoors and outdoors. 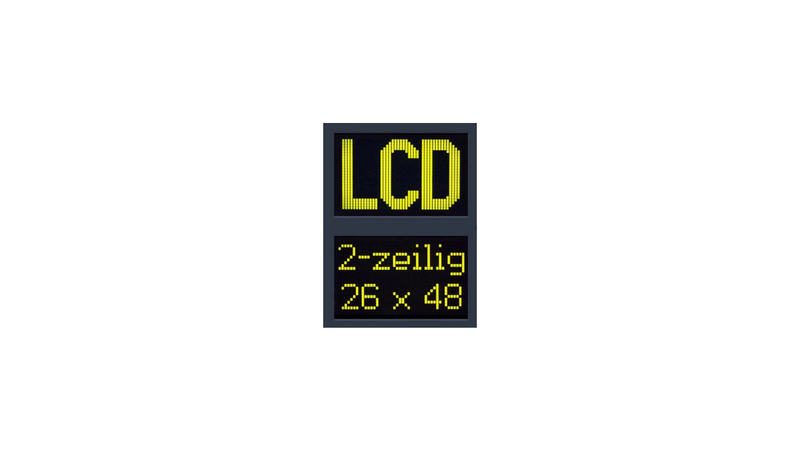 The LCD displays are available in 38- or 55-segment script or as full graphic representation in different character sizes. With our patented LTN technology you get much more brightness and much more contrast. Because we only need minimal backlighting of the LCD glasses, our LCD displays can be powered by solar power.